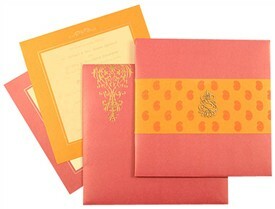 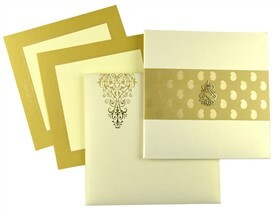 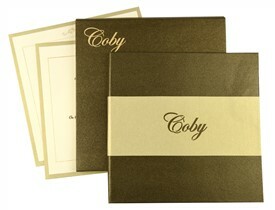 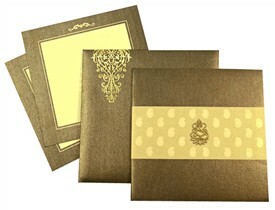 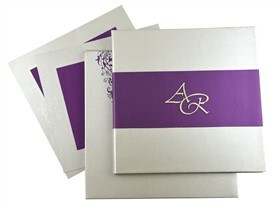 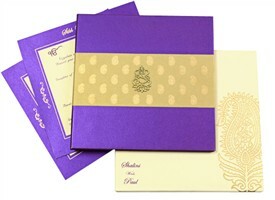 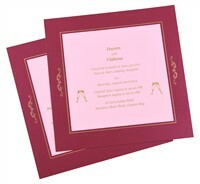 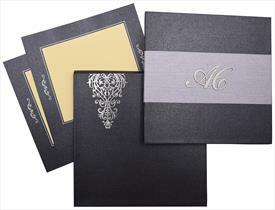 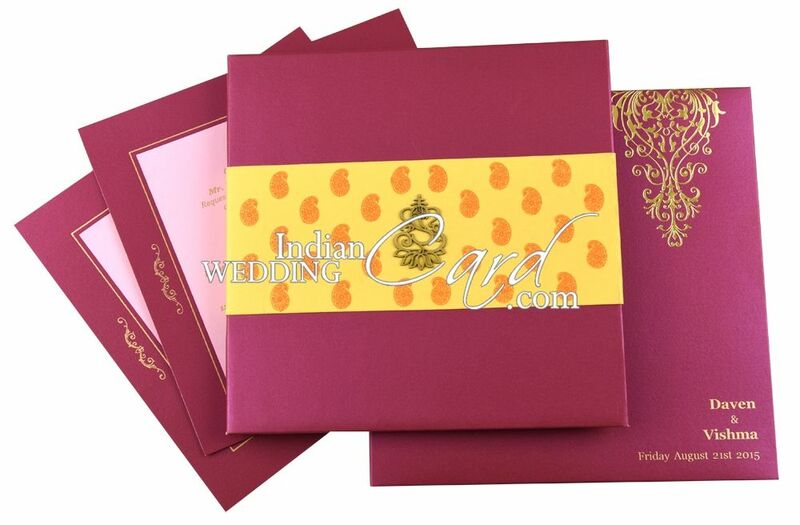 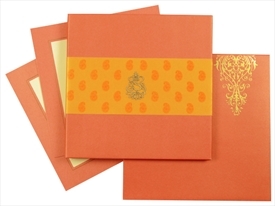 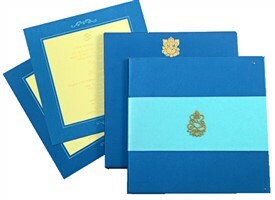 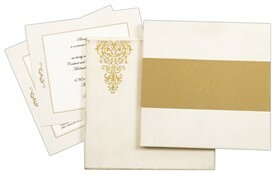 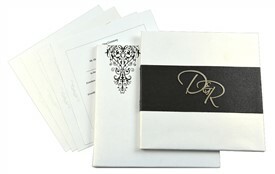 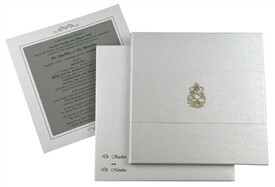 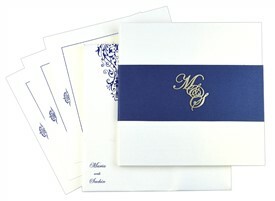 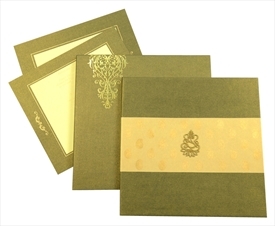 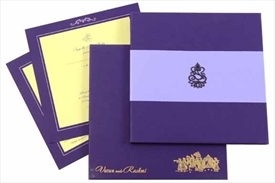 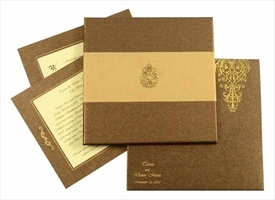 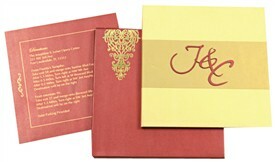 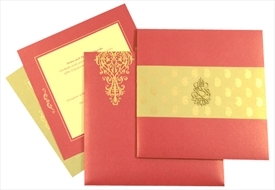 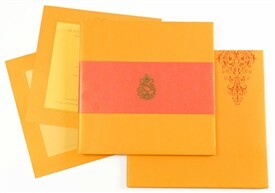 D-6855, Pink Color, Shimmery Finish Paper, Hindu Cards, Exclusive Invitations. 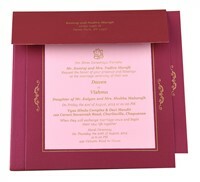 Pink color shimmer paper for hardbound card, 2 inserts, mailing box envelope, Inside right side, inside left side paste-ups & pocket. 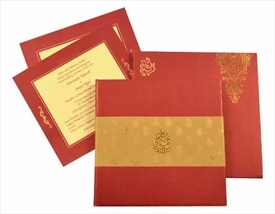 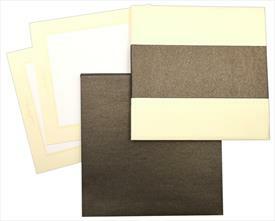 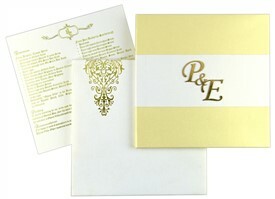 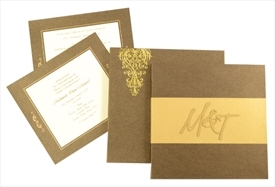 Front band in Occur yellow color shimmer paper. 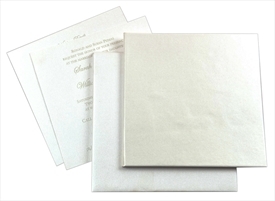 Tracing paper overlay on inside.